Longstanding intractable conflicts around race, gender, economic status, religion, disability and other identities are rooted in inequalities of social and material power. Intergroup dialogue is one intervention in such conflicts. 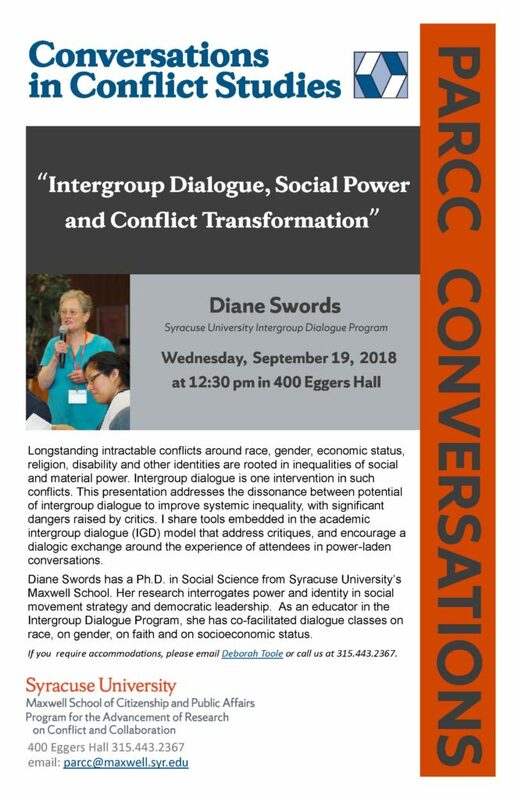 This presentation addresses the dissonance between potential of intergroup dialogue to improve systemic inequality, with significant dangers raised by critics. I share tools embedded in the academic intergroup dialogue (IGD) model that address critiques, and encourage a dialogic exchange around the experience of attendees in power-laden conversations. Diane Swords has a Ph.D. in Social Science from Syracuse University’s Maxwell School. Her research interrogates power and identity in social movement strategy and democratic leadership. As an educator in the Intergroup Dialogue Program, she has co-facilitated dialogue classes on race, on gender, on faith and on socioeconomic status. 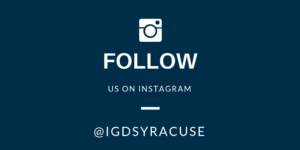 PARCC, the Program for the Advancement of Research on Conflict and Collaboration is in the Maxwell School of Citizenship and Public Affairs at Syracuse University.